Pinellas Park, Florida is city of about 50,000 residents located in Pinellas County between St. Petersburgh and Clearwater. The city was founded in 1911, and grew as promotional brochures lured northerners to the area to grow oranges and sugar. In the 50's, with World War 2 over and air condition becoming more common, the city's population grew dramatically. Today, Pinellas Park is made up of a wide variety of residential, commercial and industrial areas. One thing that makes it unique is more than a dozen equestrian centers and stables. If you're seeking a Pinellas Park pool builder to turn your property into the perfect Pinellas Park outdoor living space for your family, we encourage you to consider Grand Vista Pools. We've been building new swimming pools in Pinellas Park, Florida for more than 20 years. Do you have an older swimming pool that needs remodeling? 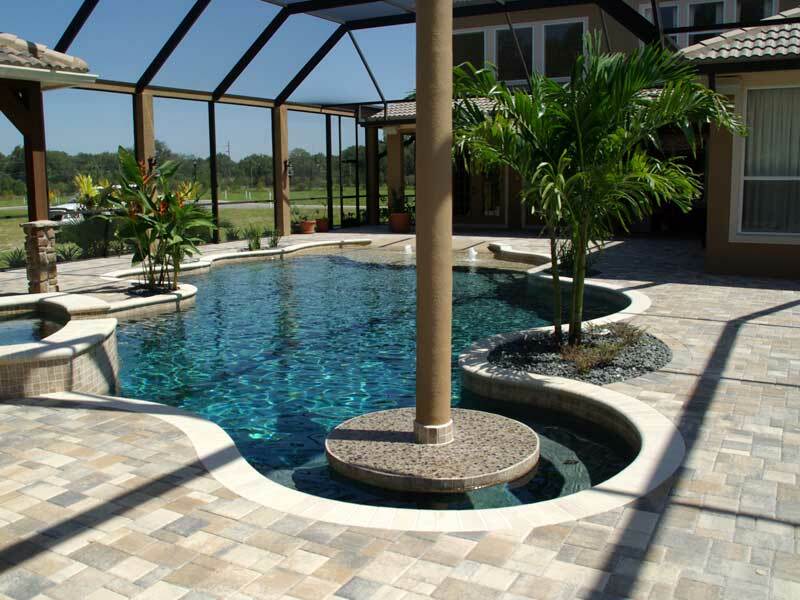 Grand Vista Pools can take care of your Pinellas Park pool renovations. Want to add a spa? Would you like to add water, lighting or fire features? We can do everything from pool resurfacing to an extreme makeover to make your pool look better than new! One unique quality of Grand Vista Pools is not only are we an experienced pool builder, but we are also a licensed Pinellas Park general contractor. Therefore, we can design and build your entire outdoor living space including any renovations to your home which to blend your indoor living space and your outdoor living space together. Grand Vista Pools also specializes in designing and building Pinellas Park outdoor kitchens. If you can dream it, we can build it - from a gas or charcoal outdoor grill to a full-featured kitchen to a fun outdoor bar. Why spend your time inside cooking while everyone else is enjoying the outdoors when you can grill, cook and relax with family and friends?